To make decisions instantly with confidence, you need reliable insights at the right time. Your need to wait for the right information and insights will end here. The pain of running to places and people to gather pieces of information is over. Now, access all the decision critical insights and information at one place. The information is acquired from trusted, verified and reliable sources. The complex data, information structure and templates made simple to enable financial novice to be able to understand, use and make intellectual decisions. Provides in depth analysis and insights. Enables you with deepest understanding of risk and financial standing of a company. InstaDetailed includes, master information, latest 3 year balance sheets, profit and loss statements, financial ratios, detailed charges search report, rating, employment, director and signatory information of a company. Categorize your client base, for faster and smarter targeting. Qualify your prospects instantly, get a quicker understanding of your leads. InstaSummary includes, master information, latest 3 year financial summary, detailed charges, rating, employment, director and signatory information of a company. Now download the latest and historic Balance Sheet, P&L Statement, and other key public documents of your key customers, vendors, and competitors in a single click. InstaDocs enables you to access, view and download the public documents, either individually or all at once as a compressed file. Download anytime and any no of times. Integrate, Automate and Succeed, is the formula every company is following. Harvest the power of our APIs, to integrate our insightful data and automate the process. Access, view, download and bookmark any company information for free at InstaFinancials. InstaBasic enables you with an interactive dashboard, updates you on new companies, your favourite companies, your viewed history, access to InstaNews and InstaBlog and much more. It also allows you, to download the free content. All these are for FREE. Analysing annual reports and financial statements are made the simplest. The pain of referring to PDF files or XBRL files is over now. XML is no more Greek and Latin to financial professionals. InstaConverter helps the financial analysts to converter annual reports from XBRL or XML file format to Excel file format, in just two simple steps. Makes it worry free from the updates. Access it anywhere and anytime. Company Categorization: enables your corporate and retail banking sales team to work smarter and better. Prospect Profiling: enables your corporate and retail sales team to gain deeper understanding of their prospects. Risk Assessment: enables your operations team to assess the risk index of the company to define optimal exposure. Data as a Service: Seamless integration with our insightful data for automation. Custom Reports and Insights: Customize the reports and insights to suite to the requirements of all departments and functions in your organization. Customer Profiling: Enables Deeper and proper understanding of your target customer, before your sales team approaches them. Smart Targeting: Slicing and dicing the customer market based on various key parameters, will enable the organization to choose a smarter strategy that works. Competitor Analysis: To stay ahead, you should know ahead. Know your competitors better to make competitive strategies. Vendor Analysis: Vendor knowledge helps in negotiating better commercial terms with your vendor. No Card Information or Bank Detailed Required for Registration. Your Information is Confidential. 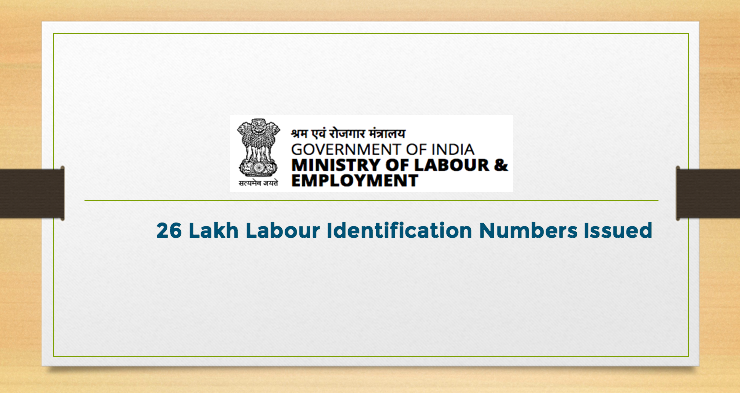 What is Labour Identification Number (LIN)? If you are looking for InstaGrowth, in your career, mail your profile to hr@InstaFinancials.com, Now! Company data is out dated. How to get latest data? Please click on the update button on right side of Company Highlights, Directors, Charges blocks to get latest information. Do I need to pay anything to get may login or after login? Can't I order for your products without login? I am getting 400 / 500 Error or Contact Admin message, What to do? Kindly Press Cntrl+F5 Key or Clear Cache data in your browser to get latest updated data. Do I need to pay in advance or can I opt for monthly invoice? For corporate customers we have monthly invoicing option. Please talk to our sales for further information. Will my contact information be published or used elsewhere? Your information will be kept confidential. Our sales team will contact you, only if you have requested a call back.